The Link G4+ Atom II is functionally identical to the original G4+ Atom, but it now features a redesigned enclosure with a similar look to the other ECUs in the G4+ wire-in product range. The new composite enclosure is lighter as well as being water and dust resistant. Pricing has also stayed the same meaning that the Atom continues to offers the power and flexibility of the G4+ platform at an entry level price. 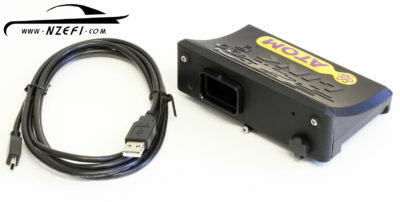 This is enough for many applications, but if you require more inputs and outputs, continuously variable cam control, a knock sensor input, electronic throttle control, anti-lag, launch control, fully functioned gear cut control or a built in wide-band controller then one of the higher end Link G4+ wire-in ECUs should be considered. 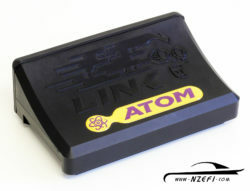 The Atom II does have electronic boost control, but unlike all other G4+ ECUs, only the open loop option is available. Surprisingly, the Atom II does have 4MB of ECU based data logging like all the larger ECUs though, so that is no longer a factor in choosing between the different G4+ ECUs. 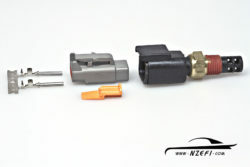 G4+ ECUs do not require the use of an air flow meter. The engine can be converted to speed density using a MAP and intake air temperature (IAT) sensor (both available separately). The Link G4+ Atom comes with a non-engine-specific base map. The ECU will need to be configured for the engine type and then tuned via the free software application PCLink. The Link G4+ Atom comes with a USB tuning cable. In most cases the G4+ Atom can use all of the factory sensors except MAP and IAT. A Loom kit must be purchased. Available in 400mm, 2.5m, 5m (NB: The G4+ Atom now uses the same loom that is used with the G4+ Storm, whereas the older G4 Atom used a loom specific to that model). 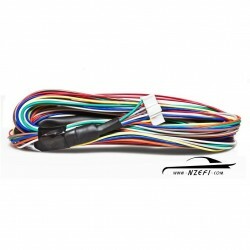 The 2.5m and 5m loom options with this product listing include the NZEFI wiring looms as they offer better temperature and corrosion resistance for a slightly cheaper price. However, the original Link branded looms can still be purchased separately if required (see separate product listing for these). Once the installation is complete, the G4+ allows a good tuner to achieve an optimal state of tune to get the most out of any combination of modifications.